Whether you’re taking the family on a camping trip for the summer holidays, looking for a late summer beach escape or exploring the hills and trails of the South Downs, our versatile county has something for everyone. To help plan your visit to West Sussex this summer, we’ve hand picked a selection of some of our favourite places to stay, ranging from activity-packed family resorts to glorious countryside retreats. For the outdoors experience with all the comforts of home, explore this yurt village outside of Chichester. A family run business, designed with family friendly accommodation in mind, Plush Tents Glamping is the ideal retreat to run wild, reconnect with your loved ones and enjoy a locally sourced breakfast. Get out of the city for a true New England style beach escape with a stay at the Hamptons Beach House. One of five self-catering cottages in the seaside village of Angmering, you’ll find yourself just a three-minute stroll from the dog-friendly beach, whilst surrounded by the luxury of your own private deck, hot tub and sun loungers. 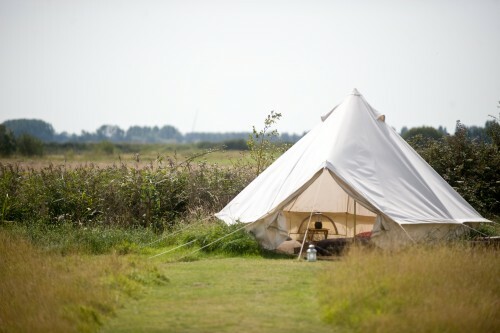 Nestled just outside of Arundel are the bell tents and yurts of Billycan Camping. Ideal for first-time campers or those that prefer a little bit of luxury, your accommodation comes already set up for a no-fuss stay. Join other campers for a campfire stew on Friday evening and wake up to a full English breakfast hamper the next morning. Situated within easy reach of both coast and countryside, Steyning Holiday Cottages provide quaint accommodation for small groups or families (plus your four-legged friend!) at the foot of the South Downs National Park. Take a stroll into the village and discover medieval architecture before exploring the cobbled streets with their independent shops and cafes. This accommodation is also ideal for cyclists and walking enthusiasts. Described as the best kept secret in Pulborough, The Chequers Hotel offers just nine rooms and is adorned with charming period features for a peaceful country stay. Based on a traditional coaching inn, you can enjoy excellent quality local food, wine and ales before heading off to explore the surrounding area. Enjoy a cosy lodge retreat in the village of Pyecombe. Complete with breakfast facilities, a bar and its own sound system, you can hole up for a few days of relaxation or venture out into the South Downs to explore the wildlife. The Castle Inn welcomes all types of guest, from seasoned tourists to families and holiday-makers, in its 17th century surroundings. With an impressive wine and ale offering, on-site dining rooms and bar, you can return to classic country comforts after a day exploring the nearby Bramber ruins. There is no denying the appeal of Butlins for those with little ones, and you can guarantee an action-packed stay full of activities to keep them entertained throughout. Choose from hotel accommodation or self-catering apartments to make the trip your own, and make the most of the water park, fairground and live entertainment. Ideal for walkers and cyclists, Stane House Bed and breakfast sits just six miles from the town of Petworth and under 10 miles from the peaceful Climping Beach. Take your bike and explore the scenic routes through the South Downs, stopping at secluded country pubs along the way. A favourite for those looking to get off the grid in rural surroundings, The Shepherds Return provides simple yet comfortable accommodation that allows you to really get back to nature. Ideal for couples, this rustic shepherd’s hut is located in Pulborough close to walking trails in the South Downs. Take a picnic, get out and explore,and enjoy a break with minimal digital distraction. Whatever you’re looking for in your summer adventure, we’re confident that embarking on a short break or holiday in West Sussex will give you memories to last a lifetime. Looking for more inspiration? Have a look at the full accommodation list or our hidden gem guides for our picks of the best of West Sussex.